Oh, yes, the life of our dogs. They spend most of their days just relaxing, especially my parents’ dog Kandie. But when you’ve reached 14 1/2 yrs old as a dog, you can relax as much as you want! 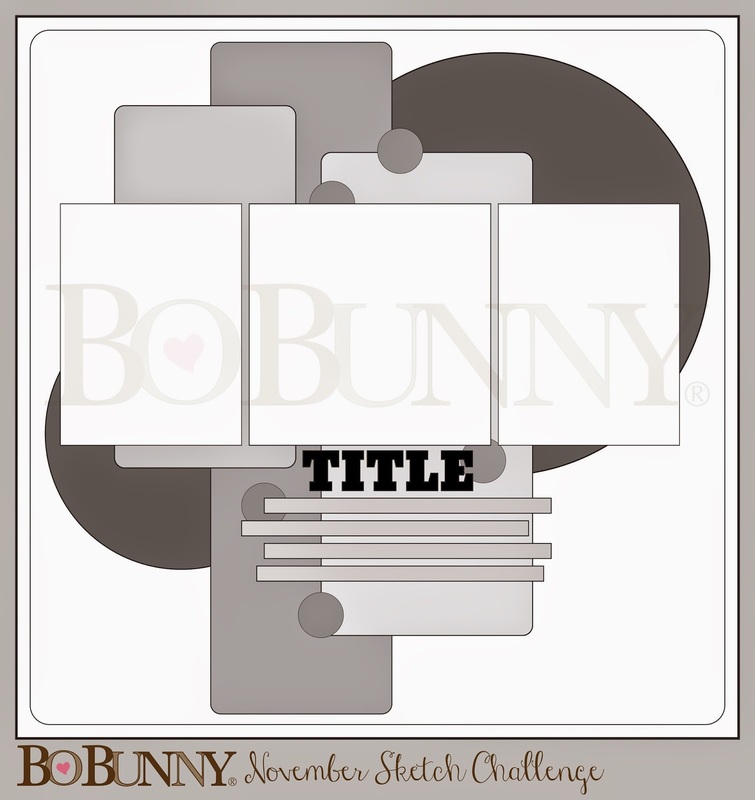 So this layout is about Kandie, which was inspired by Bo Bunny’s November Sketch Challenge! As you can tell, I stayed pretty true to the sketch. 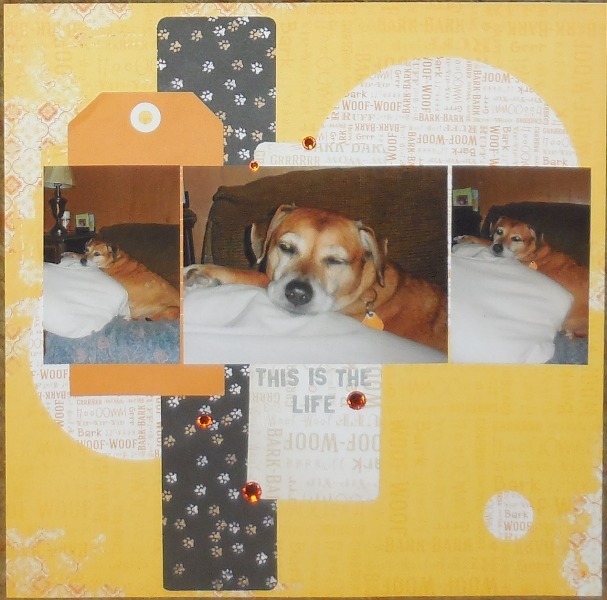 I used all Bo Bunny papers and bling, with the alphas coming from Basic Grey and my tag is out of my stash. This is being combined with ACOT’s Supply List Challenge. I chose to use Gray color (alphas); jewels; tag; circles (3); words printed on your background paper (woof, bark, and howl).